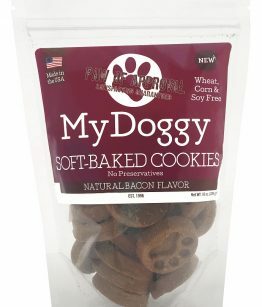 For those occasions when eight ounces of your favorite My Doggie Soft-Baked Mini Training Treats are not enough, we’ve come up with what we think is the ultimate solution. We’re bulking up our mini-sized bags and offering them in a more muscular five pound package. 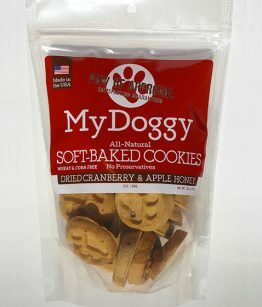 At this point, we’d like to thank Nancy P., who wished for larger bags in her review of Cheesy Training Treats. Actually, we think she was just reading our minds, as a bigger bag was part of the plan all along. Still, it’s nice to know that great minds do think alike (sometimes). 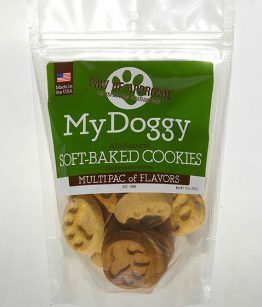 We did her one better, of course, by not only offering larger bags, but filling them with more Mini Training Treats as well. This is no big bag of air, like so many of the hungry-human-targeted chips and cookies we find on the grocer’s shelves. 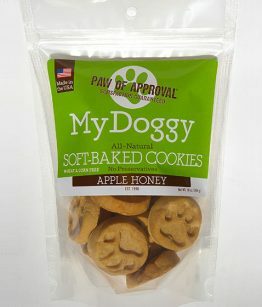 Ironically, Nancy P. wanted the larger bags because she wants to keep her dogs from getting any larger. 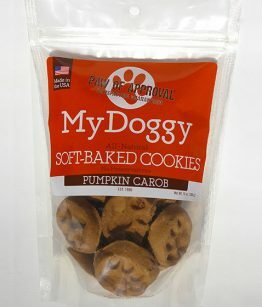 She’s using the Mini Training Treats as a lower-calorie alternative to giving them the full-seized ones! 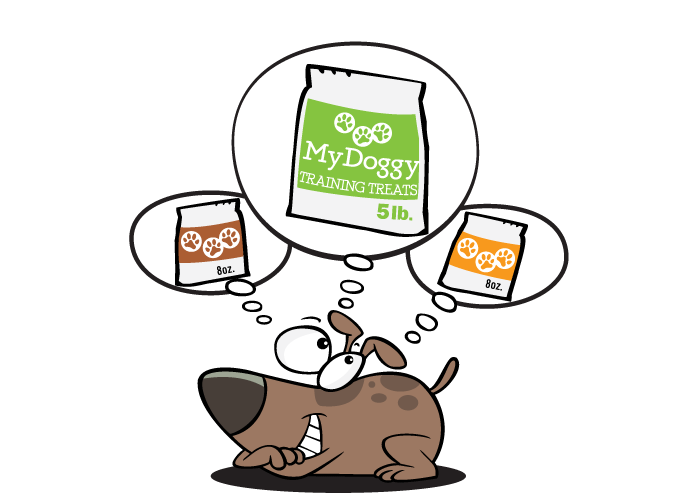 For those who know us, for those who know a good thing when they see it, and for those whose dogs know a good thing when they eat it, there’s no better value to be found than in the bigger, if somewhat bulkier bag, which is why we’re offering it to our online customers only. You won’t find it wedged onto those narrow shelves in the stores where space is at a premium! So, if you’re still reading this, remember: The new five pound bags of mini treats are only available to our valued customers who order products by way of our website. 2 Responses to "Mini-Size Maximized"
How many calories are each soft baked mini treats? Thanks! Calories vary by flavor. Thank you for contacting us directly with this question!